Celebrate the 10th Anniversary of the Equine Gestalt Coaching Method Certification Program by Touched by a Horse, inc. with these FREE special events throughout 2019! 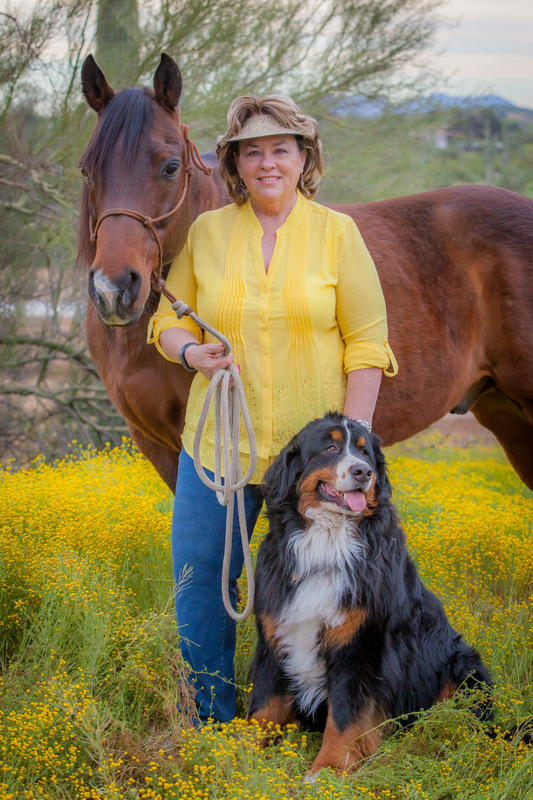 For more than a decade Melisa Pearce has been mentoring and educating her students, coaches others via her Equine Gestalt Coaching Method Certification Program at Touched by a Horse, Inc.
As a pioneer in the horse/human healing industry, Pearce has helped thousands on their personal growth journey and taught hundreds her methodologies who have gone on to become master coaches in their own right. A decade of healing and growth calls for celebration and what better to celebrate than to give back to her community and continue to educate and help others! As part of our Anniversary Celebration, we are offering several special ways for you to join us! Free Educational Series featuring some of the skills, techniques and tools learned by our EGCM and GCM practitioners during their certification process. Are you intrigued to discover what Gestalt is and why it is experiencing such a renaissance of late? In this webinar you will learn proven ways to incorporate some Gestalt concepts into your life and improve your day-to-day! This one webinar can truly bring meaningful change to you on your journey. Have you always been drawn to horses? Perhaps you have only met them over a pasture fence at the side of the road. Possibly you are lucky enough to have been a horseperson most of your life. Regardless of how you are drawn to these beautiful souls, this webinar will give you new insight into their special gifts and how they bestow upon us healing energy. Why do they move like that? When my mare acts that way what does it mean? You will leave this session with a greater understanding new ways to honor the horses in your life! Authenticity, awareness, communication, being present; do any of these concepts sound familiar? What is all this talk about mindfulness anyway? Have you set clear intentions? Melisa Pearce will help your navigate these concepts and teach you five techniques to improve your relationships. Let your transformation begin! in their email box for daily inspiration. Please help us promote more positive thought out to the world from horses by encouraging your friends to stop by and enroll for the messages. If you love our Daily Wisdom messages you will be excited to hear about our new inspirational and insightful monthly email educational series. Twice a month you will receive expert lessons. all based on Gestalt methodology, geared at teaching your useful ways to improve and enhance your life. Personal growth is a journey and these Present Moments lessons will be invaluable tool to help you! You can learn first-hand the origins of professional coaching and what makes her methods and Gestalt unique and effective for helping us heal and make the most of our own potential. Participate in demonstrations and experience the Equine Gestalt Coaching Method as a volunteer client and leave lighter! Get to know Melisa, and her powerful journey in a personalized setting. 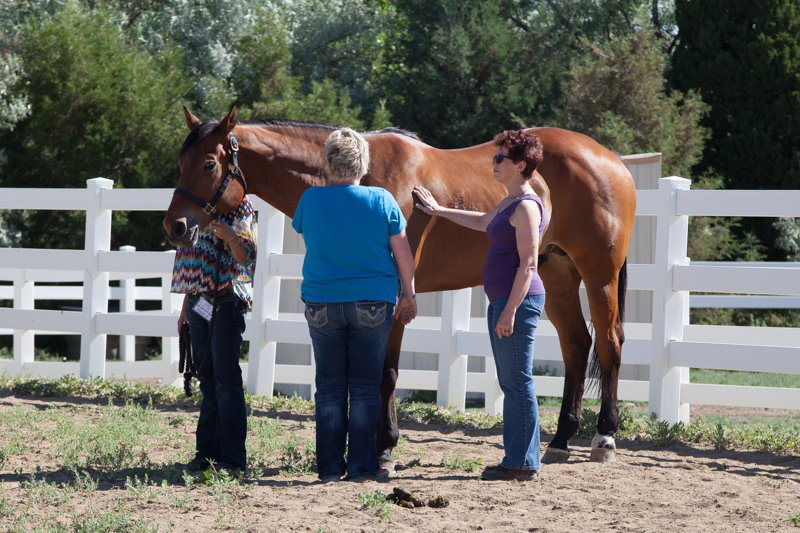 Gain insight about the healing nature of horses and how they participate as an active partner in the healing process. Find out if a career as a professional coach fits your own journey or how a personal coach can change your future. *Please R.S.V.P to office@touchedbyahorse.com or 303.440.7120. No charge to attend! Once a month, for twelve months we will share with our followers one story from our series of anthology books. 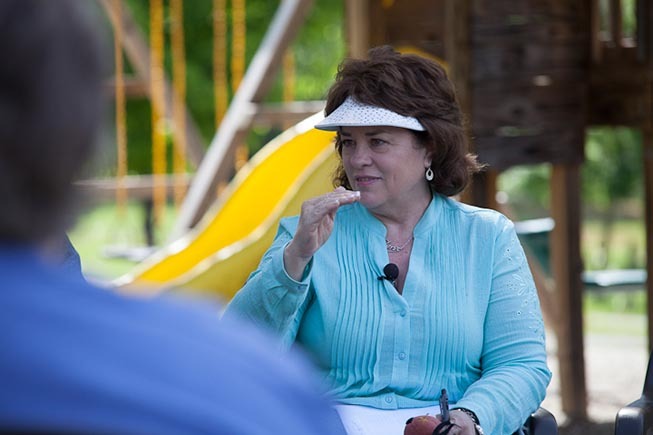 These true stories are heartfelt, powerful tales of EGCM in action. 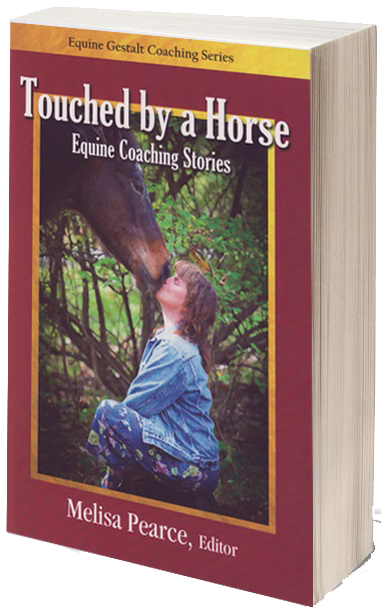 You will be moved by the clients, coaches and the horses that heal with each excerpt. With each of these journeys you are sure to connect with the pain, progress and transformation that happens! Have you felt the healing gifts of a horse? Do you understand the transformation that happens when an individual clears out their unfinished business and truly heals? Have you had the desire to help others on their path to true happiness but unsure how to learn what is needed? EGCM is the only scientifically proven method and now you could have to chance to offset your tuition via scholarship. 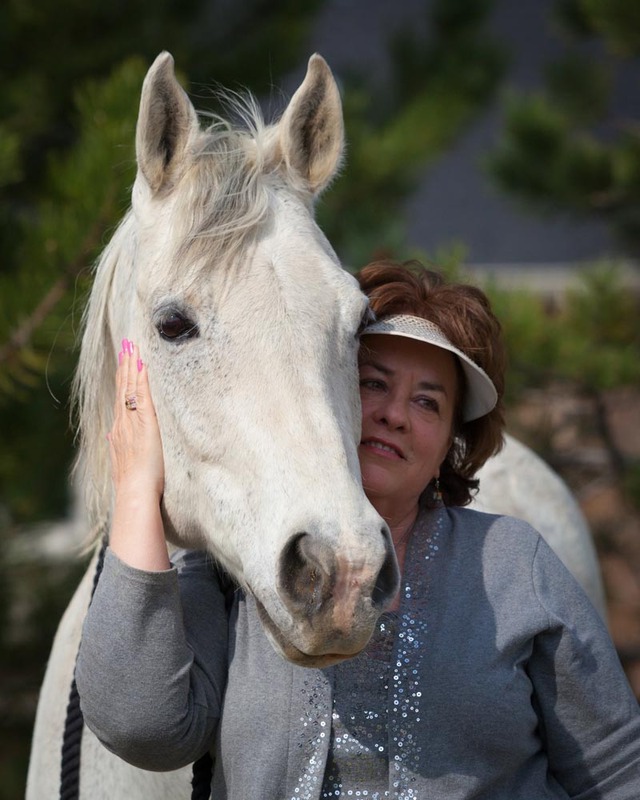 As part of our ongoing gratitude to the horses and community who have made EGCM what it is today, Melisa Pearce and Touched by a Horse, Inc. will be offering a 2020 Scholarship to one lucky individual wishing to enter the EGCM Certification program in 2020. Check back later for additional Anniversary Celebration offerings including shopping specials, animal reading specials, and more! !